I am typing this article on a lynn Whale with tuned ergo clear under its hood, adorned with a set of OG dyesub. Looking back a year ago, I used to judge how people would get crazy over a keyboard, or even worse, over a single piece of plastic keycap. Today, I am proud that I am part of this community, part of this family. I've made friends, whom I think I know them better than most of my real life friends. I've met some really cool people in the Tokyo meetup last year. And now, I finally have something to share with my beloved community. Previously known as M67-A. It started off as a small project between Rama and I back in July 2016. Then I got yuktsi on-board to share his experience on aluminium customs and quadcube as our PCB guy. Later, sheraton from Originative Co. recently joined the team and strengthen our core. I also had a lot of help from close friends such as bunnylake, jokrik and ntw, offering their advise, feedbacks, critics, and most important of all, their unrelenting support. The influence of this keyboard came upon a vintage apple keyboard. Rama was able to transform and reinvent the product into something so unique yet modern.The changes we made will allow for many modifications such as a customizable layout to involve everyone in the community. 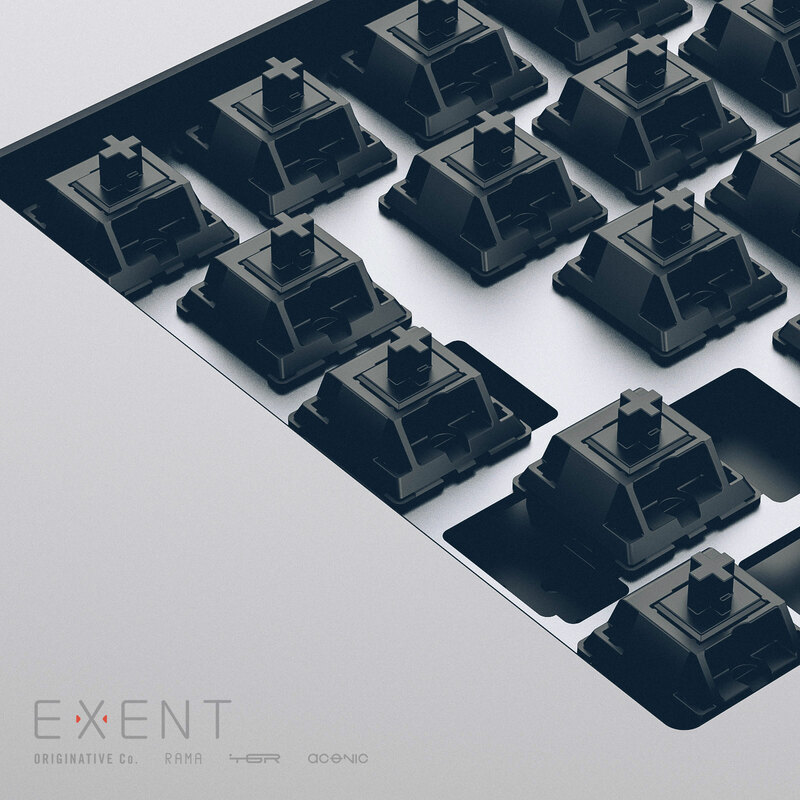 Exent was envisioned to be a premium custom keyboard, offered at a price that is affordable for all. 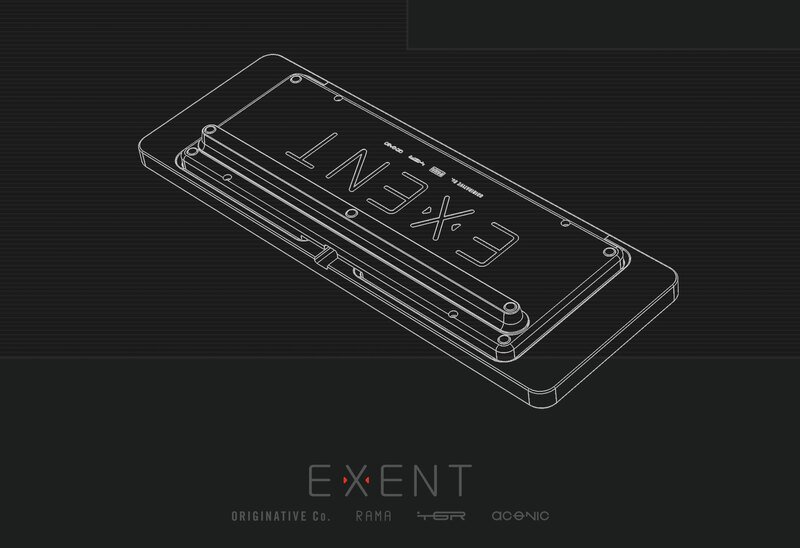 This is made possible from the dedication of each of the team members, pulling out all stops to transform Exent from an idea to reality. 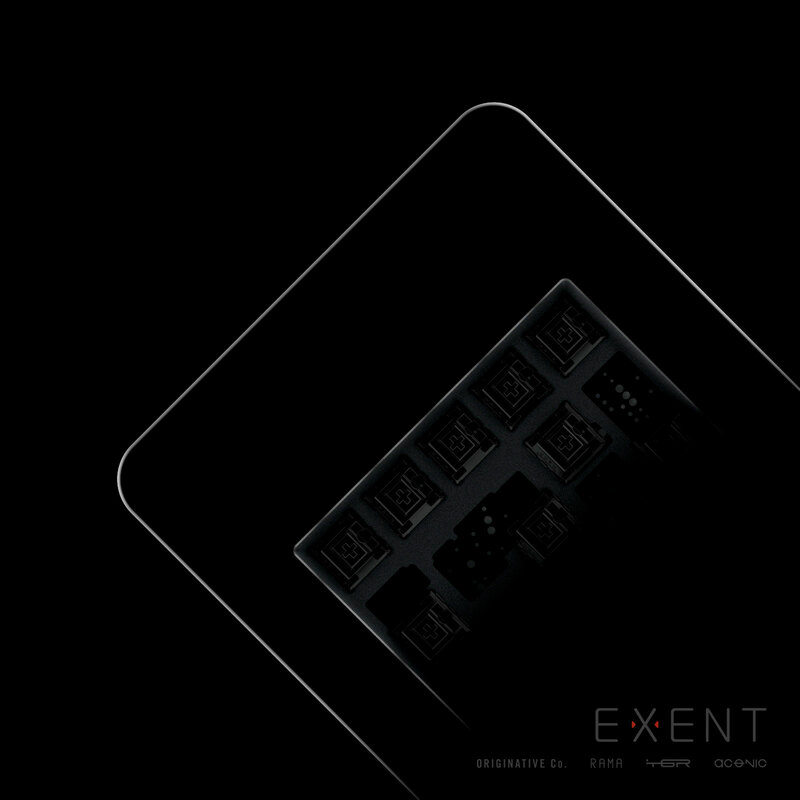 This will be the most exciting keyboard of 2017, which grew from a 2-person project, to a collaborative effort of a group of keyboard hobbyists. 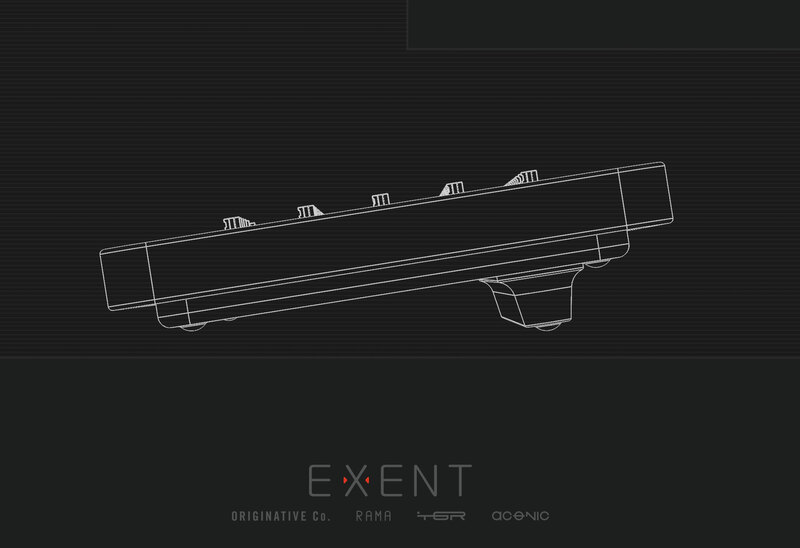 At the time of writing, the CNC machine in the factory are working hard on the first Exent prototype. 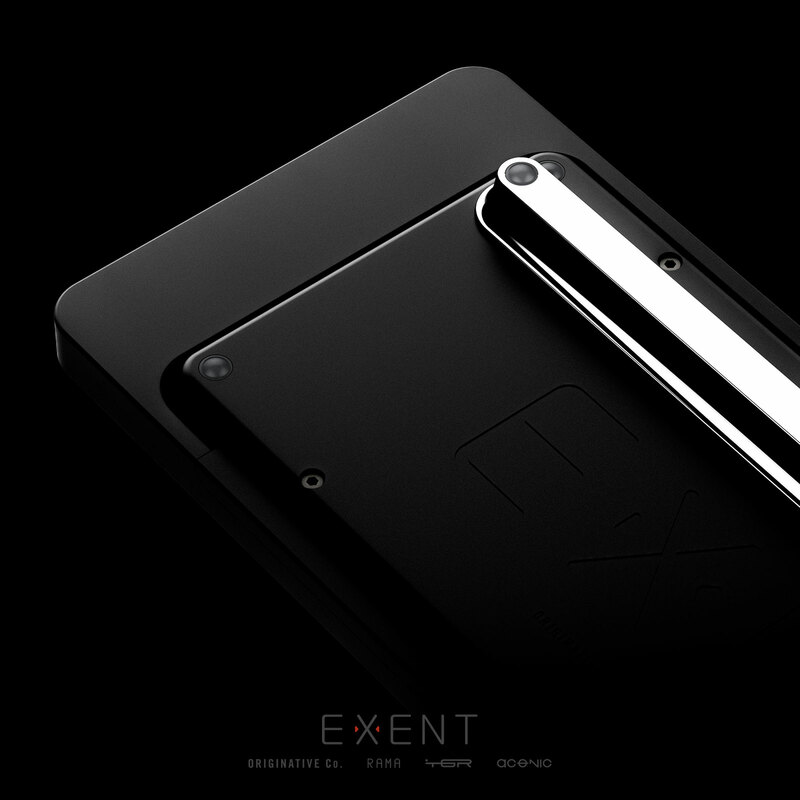 Excited as a kid on Christmas day, I am proud to share with you, Exent. I didn't like money in my wallet anyways. Looks like a fairly priced board! right after the start of the m65 gb. PLZ SPARE MY WALLET. So many 65%s coming out, and they all look so good! So great, this is my fav of the 65s---what happened to camo!!! Great design here, gents. Really like it. What am I missing on the pricing...? For $70 more than 'basic' you get switches and GMK caps?? Amazing. What will be plate material and options? 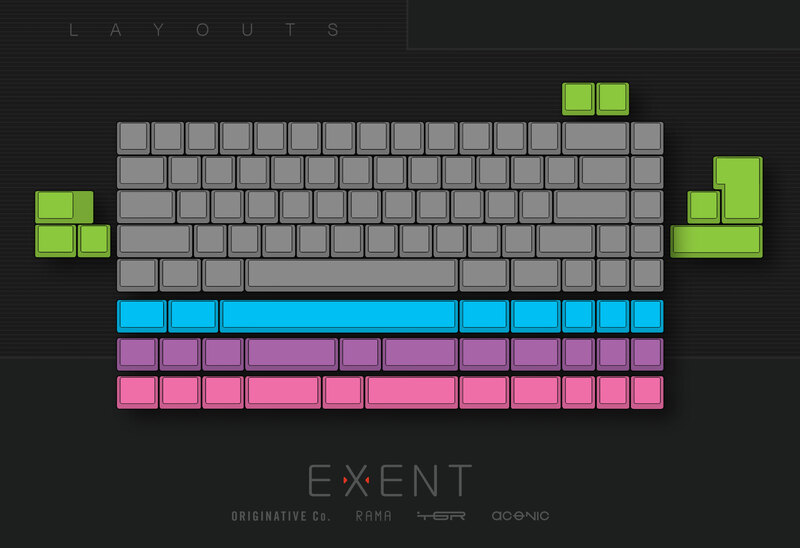 I assume the GMK set will just be enough compatibility for this board? It says steel feet in materials, but under extras is steel feet. Are those just larger feet? What are the roles of each of the people helping you with this project? Damn that's a thick bezel. need speaker grill on the side and it would be perfect. The price was what I was worried about the most but that is too nice to pass up. I'm interested in the PCB, split-spacebar 2.25u - 1.25u - 2.75u, I think my left thumb will be able to reach the 1.25u (Fn) easier. do you sell the PCB separately? 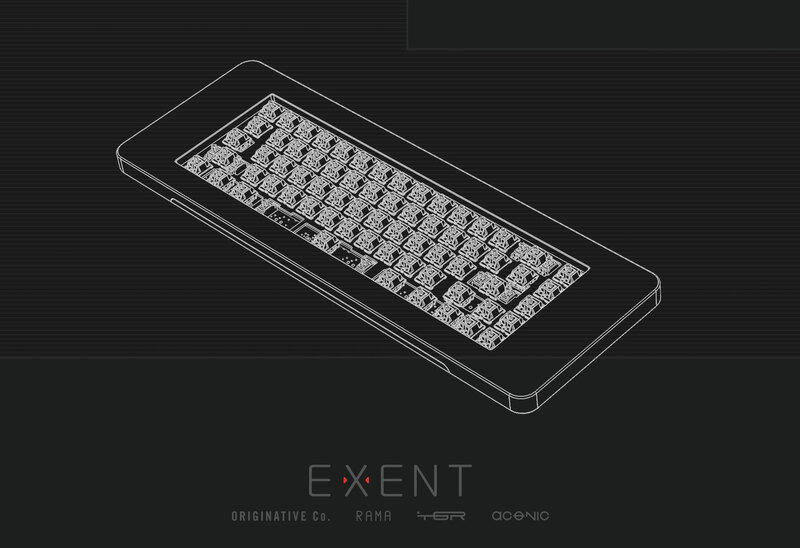 anyway, what are the GMK set that is included with this keyboard? a usual WoB? This is truly the KOAT and it's only January. Is the Vantablack option just a gimmicky name or are you planning on using the famous paint/material? welp. looks like Rama might as well just take my wallet at this point. between this, the M65-A, and that split board he's been teasing, this is proving to be a huge year for him. Awesome to finally see this come to fruition! And $180 is a sweet price! When are we going to get to see some color samples? There isn't going to be a production limit on this, will there? I absolutely love the design on this board. I'd jump at the chance to get one of my own. If juahenza calls it exciting then I must buy it. Also $180 damn you gotta hook me up with that machinist. ikr. as a fan of 65% that's really a good thing because it will most likely be a standart for upcoming keysets to have 65 kit at least! Oh my Gosh that price! $250 for everything you need, really? color options also great as well. Totally interested. I know RAMA has mentioned that the M67-A is now on Revision 5 and that the Exent is based on Revision 1; was there anything particularly Not Ideal with Revision 1? What kind of switch options will be available in the Premium kit? I'm assuming no Zealios? 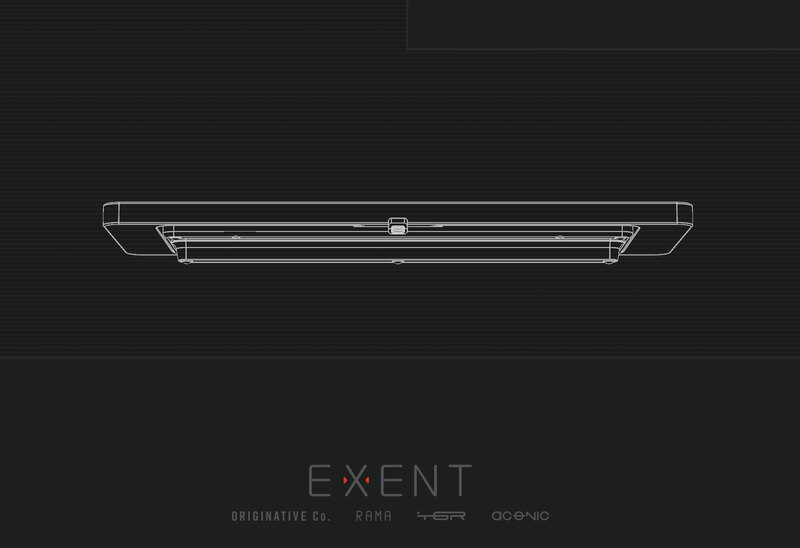 I need to see some renders, I can't tell if the bezel is too big for my taste. Btw, +1 for the profile and juahenza! This is amazing and I need this in my life. I am so damn hyped to see the community come together in a collaboration. Seeing all these names together and knowing that y'all mutually created this labor of love is a truly astounding thing to see. I am really curious about the GMK set, and am very pleased to hear the fantastic price of $250 for everything. My wallet is ready and I'm praying I can get in on this, even if I have to move heaven and earth. With Originative involved does that mean Mod switches? 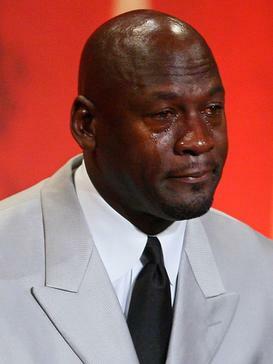 My face every day from now until that keyboard arrives at my home.